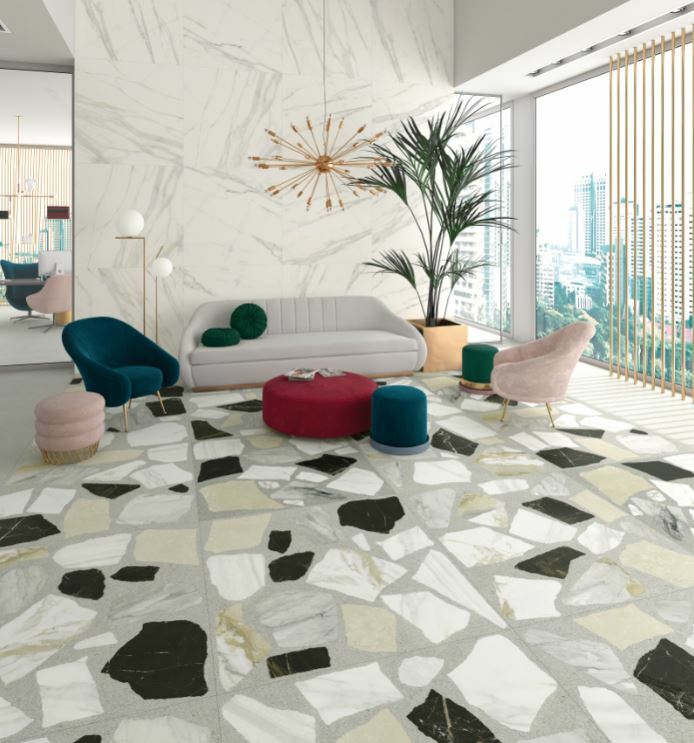 Cevisama is an international showcase that gathers together the latest designs from the ceramic tile and associated industries and bathroom furnishings and natural stone sectors in Spain. 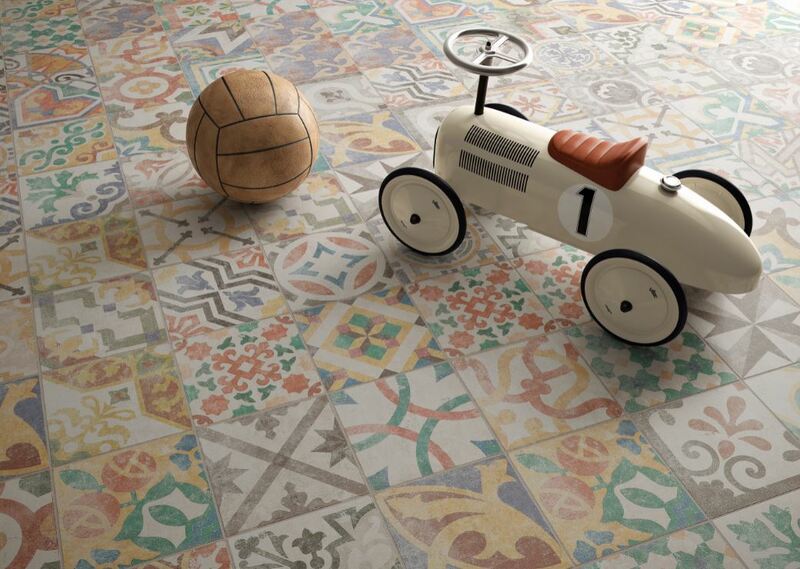 Spanish ceramic tiles boast a long-standing tradition and are a classic material both in Spain and abroad. Today, they remain firmly at the forefront of innovation, adapting to changing aesthetic and functional trends while continuing to provide a benchmark for the entire sector. Tiles installed outdoors that mimic the look and feel of exterior materials such as bricks are a popular choice. This means they have all the benefits of ceramic tiles whilst appearing to imitate another material. 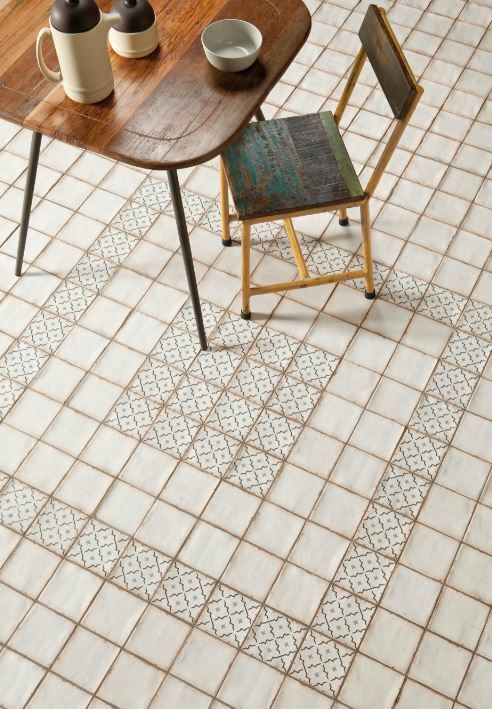 These tiles are smooth underfoot, adding to their appeal. The varying tones of brown, combined with the vast array of unique shapes, has made this design a trendy option for interior designers. It appears to be one long sheet of a distinct material but is indeed a specific sized ceramic tile. 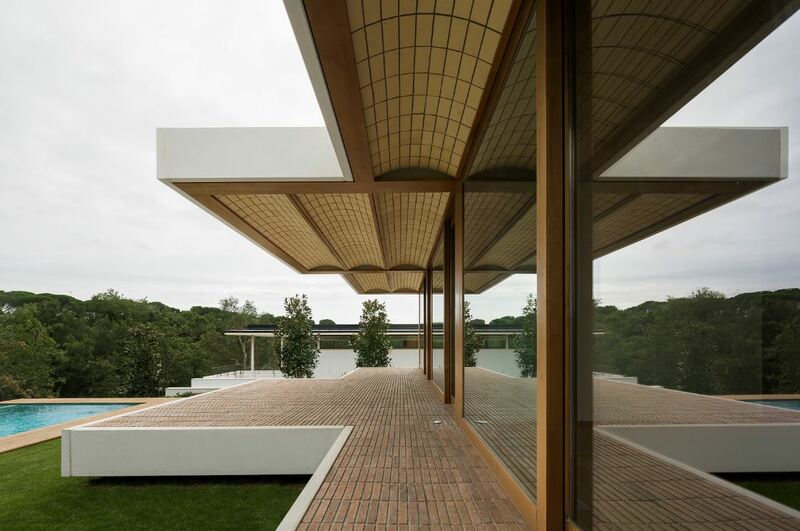 This is another way that ceramic tiles can imitate other materials, including their varying sizes. It is a look has a tendency to conjure up images of materials used in the 60s or 70s. 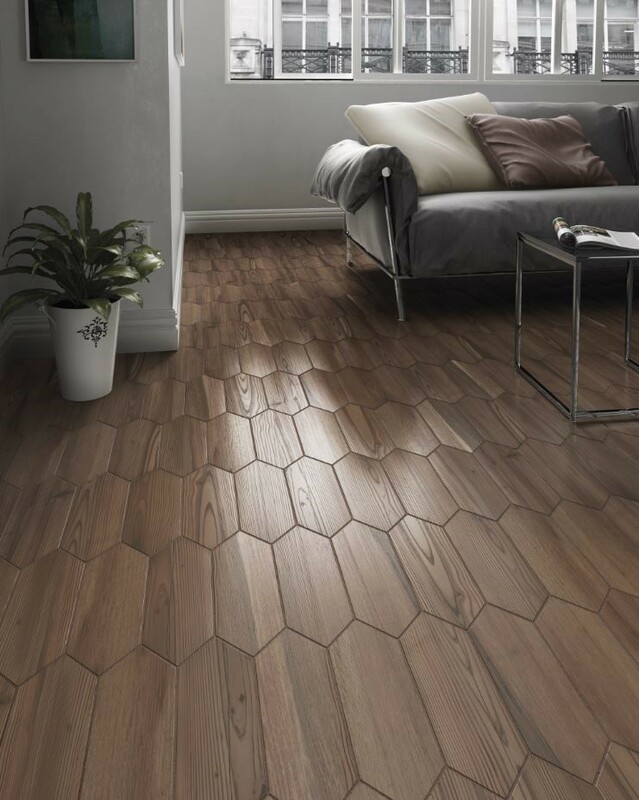 The hexagon shapes that proved popular in previous years are once again making an appearance in the design world. These tiles have been designed to appear aged and worn, and once again make use of brown shades – a distinct trend in 2019. 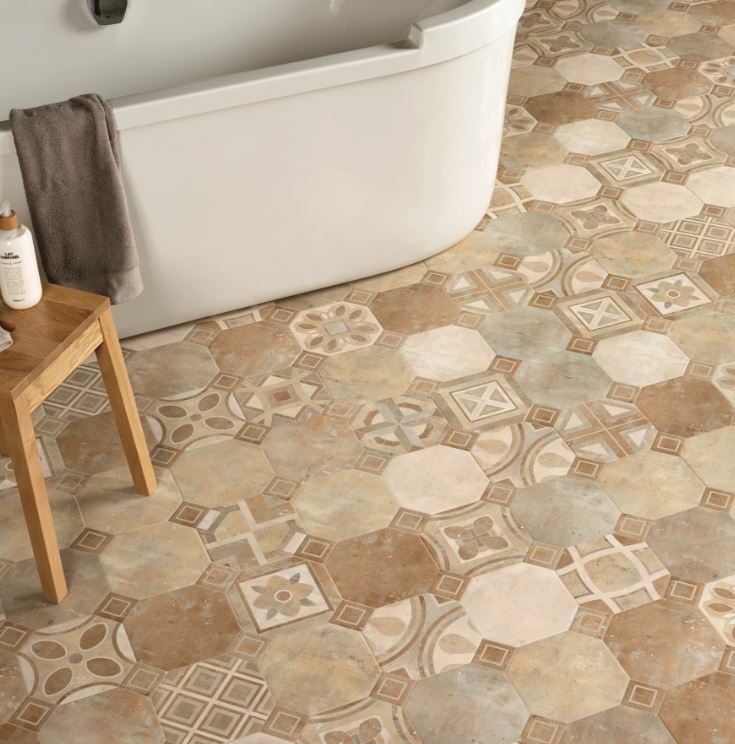 Flooring featuring the classic geometric mosaics of the 60s and 70s are back in style. Vintage goes contemporary with these attractive designs that breathe new life and vitality and an exciting new take on the traditional lines that bring the memories flooding back. Timeless designs combined with dark tones and shaded or metallic finishes, and bold contrasts that offset the throwback to classic models, enhancing the room and adding new beauty in a material makeover. When it comes to creating an elegant but original setting, opting for formats other than the classic square-shaped tile is always a good idea. One of the biggest trends for the new season is the preference for contrasting textures: polished or roughened, smooth or in relief, matt or shiny. Combining textures is a way of differentiating between spaces and drawing the eye to walls and floors. These floors turn surfaces into authentic works of art. This is an interesting combination of ceramic materials that uses long elongated wood-look ceramics and highly detailed square ceramics filled with colourful shapes and patterns. This busy aesthetic breaks the monotony of the wood look that covers the rest of the available space and can even be installed on walls. 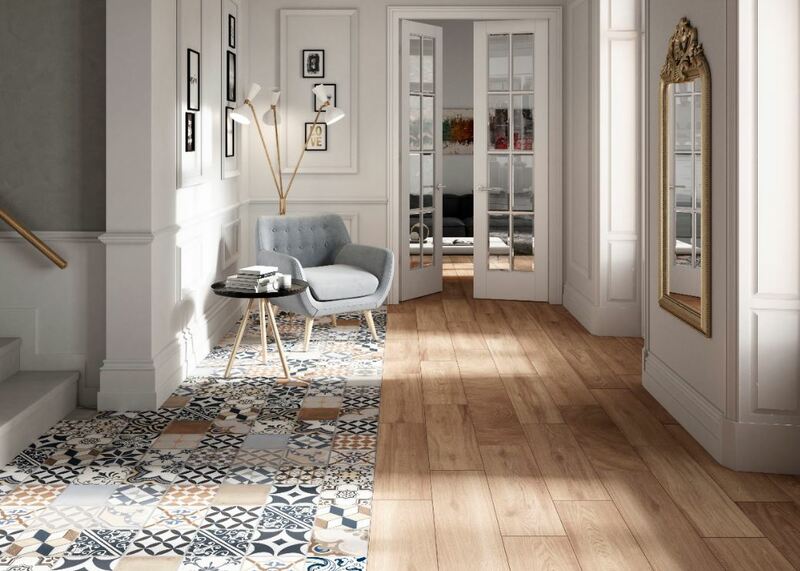 Although it may appear to be a risky choice of flooring, it still introduces something new and vibrant with something more casual and well known, such as wood-look ceramics. 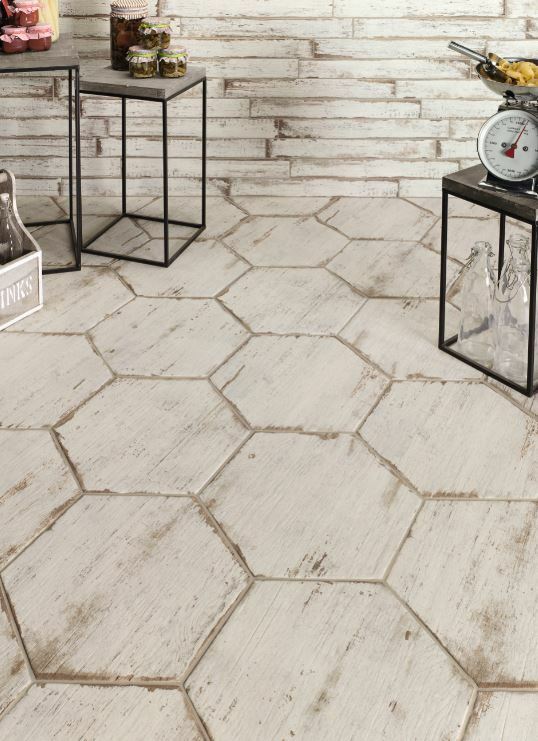 One of the biggest trends this year is settings featuring essentially natural stone ceramic tiles, reflecting the light that bathes the walls and floors with subtly shifting hues as the day wears on, providing exactly the right sense of texture and warmth. 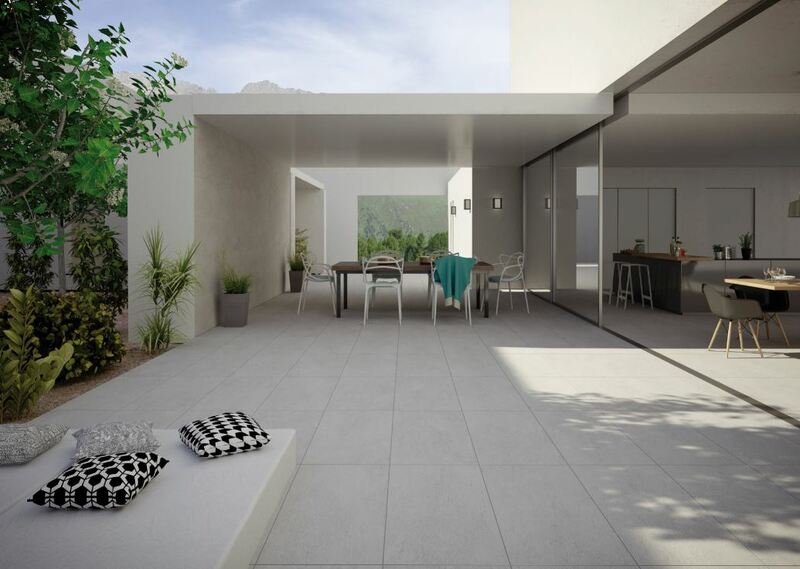 Ceramic tiles are also an effective way to create a sense of spaciousness and light using a single material both inside and outside the home, softening the transition from indoor to outdoors. 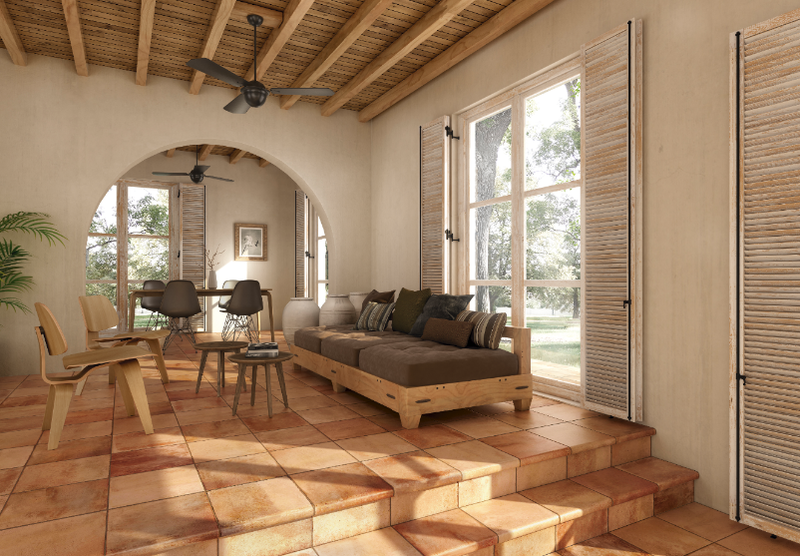 Terracotta isn’t just about tradition: today it is increasingly finding a place in contemporary settings. The new designs are still rooted in the past, but evolution has brought them in line with other, more creative ideas, with new formats, tones and textures. Their natural appearance contrasts with modern-day touches that come together in exclusive rooms with a clearly defined character. 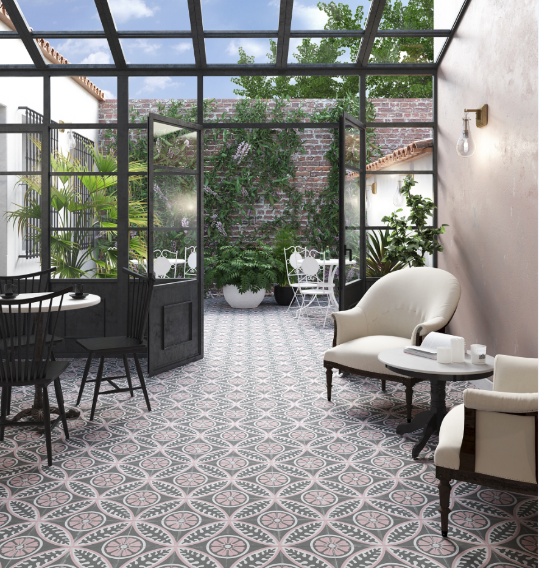 The general lines in ceramic tile designs of recent years are still on point in 2019, albeit with updates dictated by the latest trends in décor: innovative formats in new sizes and thicknesses, colours that range from basic to bold, eye-catching combinations and surprising mixes of patterns, a return to classic models . . . In short, myriad trends that reinvent themselves or remain unchanged, reflecting the characteristics that form part of our heritage. Small sizes with a few patterns have the ability to transform any space from drab to fabulous. The key is to focus on the detail, irrespective of ceramic size, pattern or colour. At the end of the day it is all about how the varying options are brought together to suit the functional and aesthetic needs of a specific space. The goal is to use these examples as possible ideas for future projects and can be combined or used alone. It is always exciting to see fresh new ways to interpret the use of ceramics that exhibitions such as Cevisama reveal each year. For more information visit www.cevisama.com.